Sit out and enjoy the expansive views across Poole Harbour along with Brownsea Island, the rising hills of the Purbecks and Arne. All this and more can be captured from the wall of windows that extend across the living area and truly let the outside in. 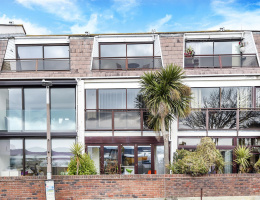 A truly rare opportunity to purchase in Barbers Wharf, a three story townhouse offering modern living accommodation close to Poole Quay. 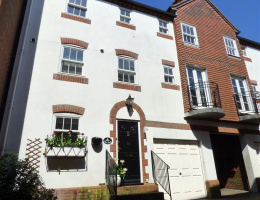 A fantastic family home or a great holiday retreat in the secure and gated popular development. A charismatic home that is inviting and immersed with natural light. 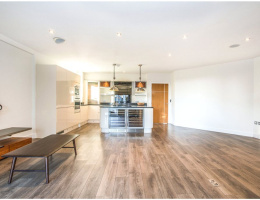 The recently remodelled kitchen/diner is simply delightful and perfectly designed for entertaining. French doors open out into a pretty courtyard yard that boasts a view of St James Church Tower that rises above Poole Old Town. 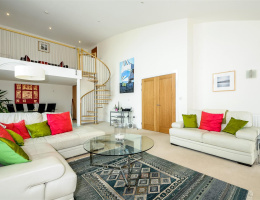 An indulgent contemporary apartment that is hidden away in the very heart of Poole Quay. 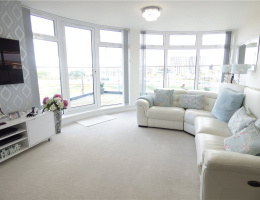 Bi-folding doors open up the living area allowing for the balcony to flow in & become part of the room. 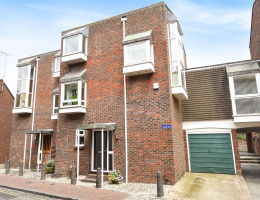 A must be seen property to appreciate the size and quality on offer. 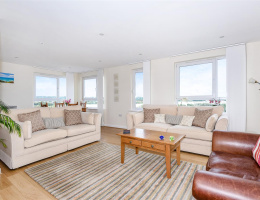 A serene apartment that has been exquisitely streamlined and enhanced with a stunning new kitchen and en-suite amongst many beautiful features. 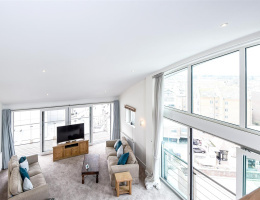 The attractive curved windows and its expanse of glass flows around part of the living room, framing the sensational harbour views over Holes Bay.